When Aldric first meets Lito, he considers the man a nuisance. As a dragon keeper for the kingdom of Corancia, he has more important tasks than answering an artist’s numerous questions about dragons. Lito travelled to Corancia so he could observe dragons firsthand for his paintings, and he’s full of questions about the magnificent creatures. His questions aren’t merely for his art, however, they arise from his deep love of dragons. When he overhears a plot by his own kingdom to eliminate the animals, he has to choose between his loyalty and his beloved dragons. Working to prevent the extermination of dragons throws Aldric and Lito together. Lust is in the air, and if they’re lucky, they could end up with a happily ever after. This was a very enjoyable read from this author. I’m a huge dragon fan and loved how the dragons were depicted in this book. As a painter myself, I would have been in heaven to be able to sit with them and paint them. I was able to picture myself doing that very thing. This author really captured the essence of the dragons, as well as, the simpler life. I would so love to live in those times as either the dragon keeper or the artist. Both these characters played their role well and really took me back to those times. 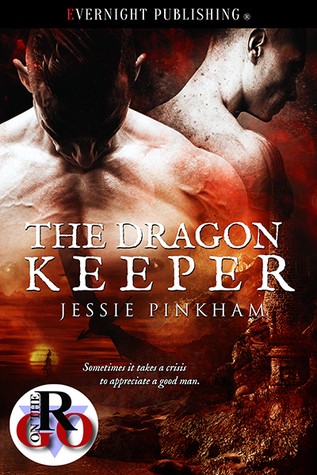 Aldric has followed in his grandfather’s footsteps and is the dragon keeper. His best friend Esan and him tend to all the carpentry needs. See, the dragons tend to destroy things, especially the younglings. The younglings are a bit rambunctious and not very good at the whole flying thing. Anyway, a lot of their days are filled repairing homes for the dragons. But when Aldric meets this artist that won’t stop asking questions, he gets annoyed with him and wants him to go away. Or at least to quit asking questions. Lito is from a clan that has no issues killing dragons. Lito does not like this about his family. He’s an artist that’s intrigued with dragons and has come to Aldric’s clan to capture them first hand. He has so many questions and just can’t get enough that he doesn’t even realize he’s irritating the dragon keeper. Then the news gets out that a troll is on the loose. Trolls would have no issue eating the cute little artist, so Aldric has him stay with him until it is safe again. One day, after Lito had gone home and having a few drinks, he overhears about his clan planning to poison the dragons. This upsets him, but he knew if he said anything, he would be banned from his homeland. But in his heart and soul, he had to say something. He told Aldric, which in turn, began to try to stop this mass destruction of his dragons. Was Lito too late in telling Aldric? Will the dragons be saved? Will Aldric and Lito finally feed into their sexual hunger for each other? What will happen to Lito once his clan realizes it was him that told of their plan? So many questions that I can’t even begin to give you any answers. I hope you enjoy this as much as I did.